« Tuzki & AlarmMon collaboration! 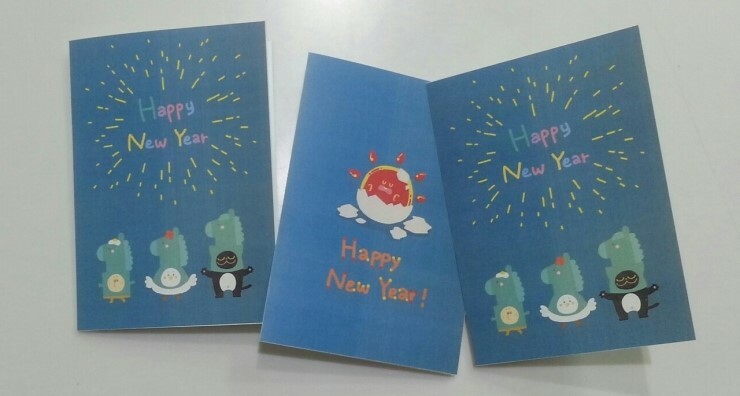 Make a AlarmMon New Year’s Card! Year 2014 is just around the corner and we have prepared this new year’s card for you! Year 2014 is actually year of “horse” according to the Chinese zodiac, and that’s why you see the cute horses in the cards! Let’s show you very briefly how you can make the AlarmMon New Year’s card! The image has been designed so that it can be printed on A4 size papers! First, save the image into your computer and print it out. The last step would be cutting them nicely with a ruler and a box cutter! Use this card to convey your best wishes to people and friends around you! Happy New Year!